Backyard Bee Hive Blog: We've Got Honey! And we sent it to LA! We've Got Honey! And we sent it to LA! A little bit of sweetness from Aurora, Colorado. So very proud of the Backyard Bees! If we move to LA, HoneyLove.org is the beekeeping club we'll join. 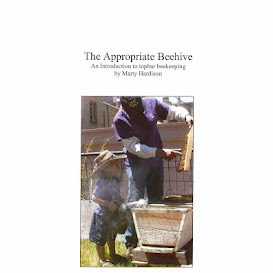 They're a 501(c)(3) that is very active in their community with a focused effort on legalizing urban beekeeping in LA. It surprised me that they'd accept a submission from Colorado, but the bigger surprise was that the Backyard Bees won first place! There were 18 honeys in the field from around the world, and our Linden-informed honey came out on top. Here are the details of the competition. Thank you to all of the beekeepers who submitted their honey, and to all of our fabulous HoneyLovin’ judges!! Honeys: Organic Blue Borage Honey, White Himalayan, Chileano Ulmo, Ohi’a Lehua Hawaiian, Tupelo, Backyard Bee Hive, Zick’s Orange Blossom, Bill’s Bees Sage, Bill’s Bees Wildflower, Backyard Bees Orange County, Golden Honey from the Dale, Mandeville Canyon, Harry’s Honey Whipped, Harry’s Honey: Raspberry, East Mar Vista Raw, Ceebs from Manning, Ceebs from HoneyLove Sanctuary, and HoneyLove Honey.